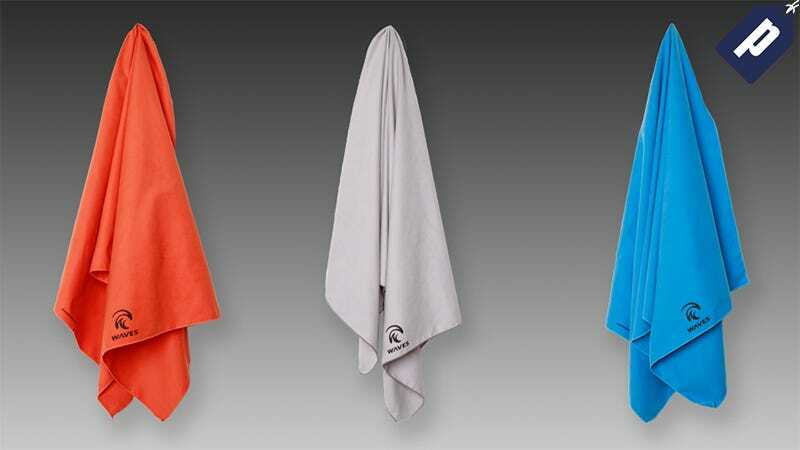 WavesGear is offering Deadspin readers a 50% discount on the perfect accessory, their extra-large Micro-fiber towel, now only $15. Use promo code AUG-MT50 on the second page of checkout. Whether you’re a casual sunbather or a triathlete, the towel is great for any location or activity - the pool, beach, park, gym, yoga, hiking, camping, or traveling. It gets the job done efficiently, never taking up space or staying dingy and wet. Choose either the extra-large (36”x60”) for just $15 or regular (27.5”x55”) for just $12.50. Both sizes are available in blue, grey, and orange, as well as packs of three. Get yourself the most versatile towel and enjoy the perfect accessory for your new endeavors. Use promo code AUG-MT50 on the second page of checkout.